RIO GRANDE CITY -- With no end in sight, flood waters continue to cause serious problems for a three county area downstream from Falcon Dam on the Rio Grande, according to Texas AgriLife Extension Service personnel. "Farm and ranch losses here in Starr County will easily climb into the millions," said Omar Montemayor, an AgriLife Extension agent in Rio Grande City. To get a better handle on agricultural flood damage, Montemayor is asking Starr County farmers and ranchers to call his office to report their losses. "If you've suffered agricultural losses in Starr County, please call our office at 956-487-2306," he said. "These would include losses to crop, livestock and structural damages, including farming equipment, fences, sheds, stables, pens and so forth." Floodwaters have covered an estimated 15,000 acres of crop and rangeland in Starr County, according to Ronnie Zamora, an AgriLife Extension agent in Starr County. "We had several thousand acres of corn, sorghum and cantaloupes that were ready for harvest before the flood, Zamora said. In addition to crop losses, growers will have to work the land once the floodwaters are gone, Montemayor said. "Of those 15,000 acres, some 10,000 acres will need land leveling due to the erosion and sediment from the flood," he said. "That will be another expense that growers will need to incur before they can do any fall or spring planting." Reports of lost cattle, goats and horses are also being received, Montemayor said. "Cattle losses along the river could have been much higher, but for the last three or four years, we've had lots of fever tick problems in the area that's now flooded so a lot of that cattle that had been treated and wasn't quarantined had been moved out and sold," he said. What the flood situation will do to the tick situation is anybody's guess, he said. "Hopefully, they'll be washed out into the Gulf." The flooding comes on the heels of Hurricane Alex, which made landfall in northern Mexico on June 30, and a tropical depression shortly thereafter, according to Erasmo Yarrito Jr., the Texas Commission on Environmental Quality’s Rio Grande watermaster. "We've been working these floodwaters since early July and we really don't know when this will all end," he said. "It's water coming in from Mexico as well as from Amistad Dam, further upstream, and it's quite a bit of water." Inflows from Amistad have decreased, which will help the flooding situation in the Del Rio area, but will not be an immediate help to the Lower Rio Grande Valley, he said. "Unfortunately, we don't know when it will crest," he said. "We have no information on that. We know we'll have more inflows from Rio Salado in Mexico, but we don't know at what rate or how fast it will come. Hopefully, it won't be too fast." Dr. Ruben Saldana, the AgriLife Extension administrator in District 12 in South Texas, said downstream agricultural losses in Hidalgo and Cameron counties, are still being calculated. 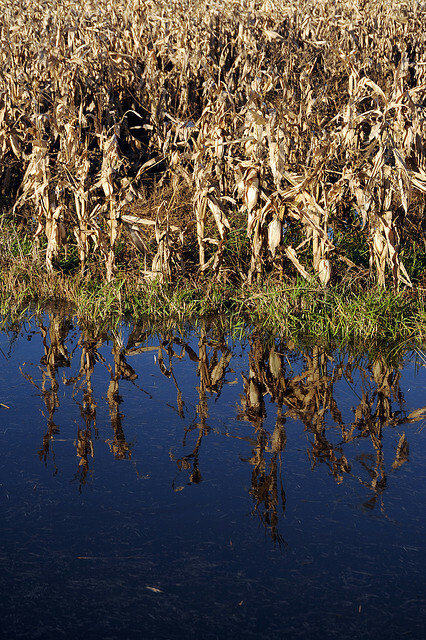 "We know we'll have losses to crops planted in the floodway," he said. "I can't imagine any of those crops surviving, but we haven't yet determined how many acres were planted there."